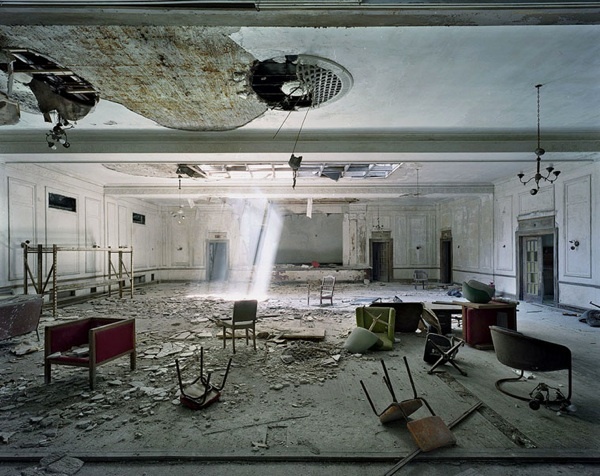 "Ruins are the visible symbols and landmarks of our societies and their changes, small pieces of history in suspension....Photography appeared to us as a modest way to keep a little bit of this ephemeral state." These are the words of Yves Marchand and Romain Meffre in their statement on their photographer website. 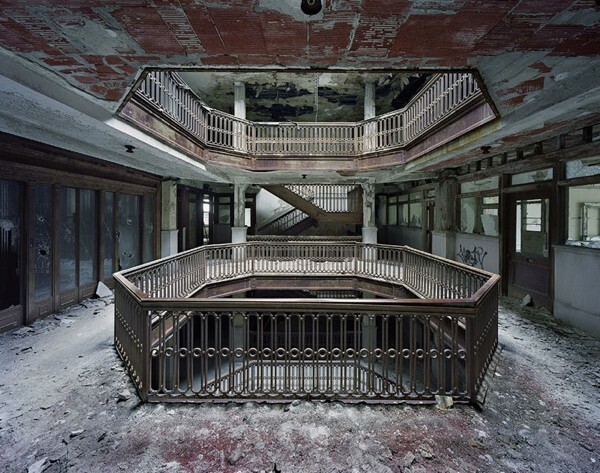 Their description of ruins and what they mean to civilisation are particularly pertinent when you take the time to look through their photographic project entitled, The Ruins of Detroit. 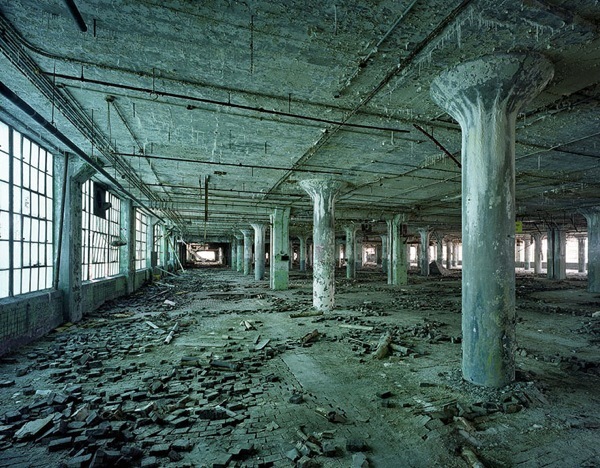 Detroit was once the central hub of the American automobile industry. 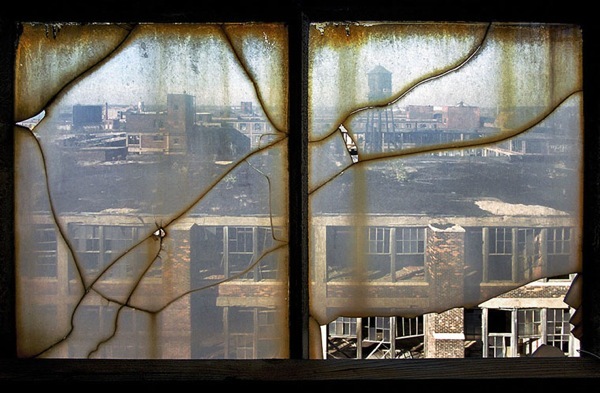 Home to car manufacturer Henry Ford and the first ever large-scale production line, Detroit became a hugely affluent and densely populated place that oozed the American Dream. However, all good things come to an end. The 1950's and 60's saw the rise of more affluent neighbourhoods in the suburbs, and 1967 in particular saw one of the most violent riots in American history take place due to race tensions in the city, causing parts of Detroit to disintegrate and eventually turn to ruin as a consequence. 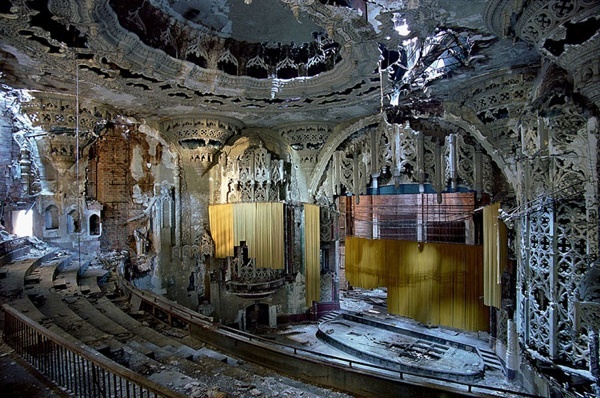 The Ruins of Detroit is the culmination of a 5-year collaboration that has seen the creation of some truly stunning and intriguing photographs that capture the remnants of this fascinating history. 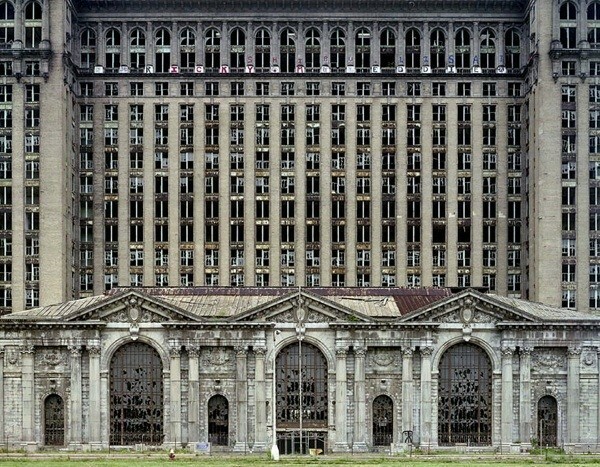 All manner of monumental and exquisite buildings sit in decay alongside the shells of Detroit's industrial past. Below are a few of our favourites, but to view a larger selection and to learn more about the photographers and their projects, visit their website.